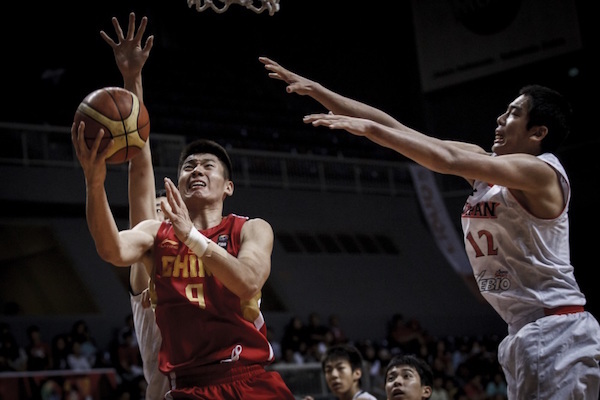 For the first time in the history of the 2015 FIBA Asia U16 Championship, China isn’t standing on top of the podium. Korea beat Taiwan in the Final to rule the biennial tournament, while China settled for third place after making short work of Japan. 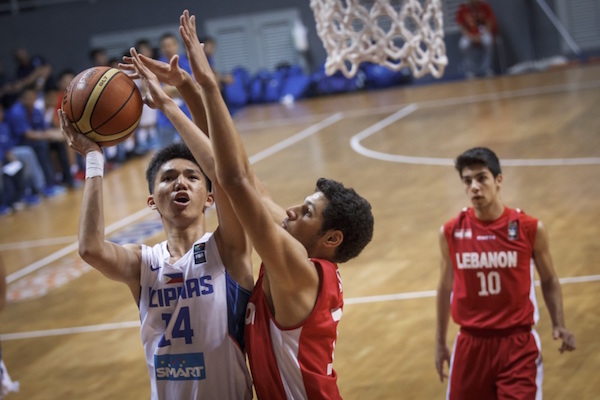 Batang Gilas defeated Lebanon to finish in the top 5, while Thailand rounded out the day with a victory over Kuwait. Here are the complete results from the final day of competition! Thailand finished its campaign on a bright note, rallying from an early deficit to upend Kuwait and earn its highest finish ever in the history of the tournament. The Thais utilized crisp ball movement here, assisting on 27 of their 28 field goal makes. 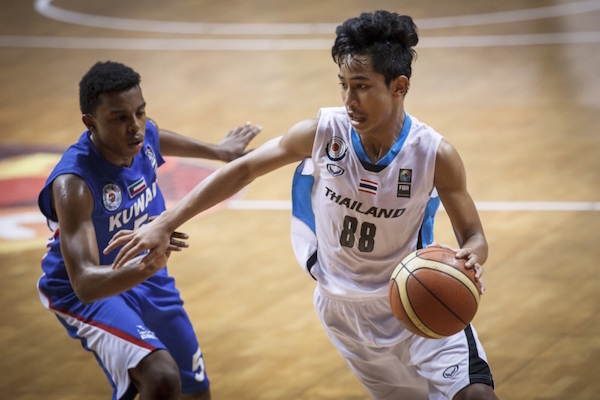 Thanakrit Lmijittakorn recorded a 19-point, 14-rebound double-double to lead Thailand, while Natthaworn Banchathon added 20 markers. Mohammad Hasan paced Kuwait with 16 points, 13 boards, and 5 blocks. Adel Madeed pulls up for Kuwait. Natthaworn Banchathon scored heavily for Thailand. 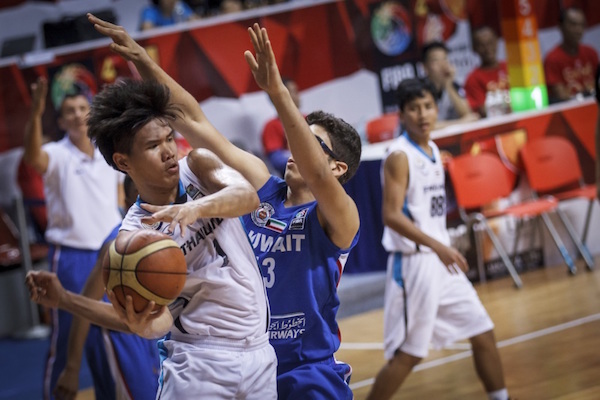 Thanakrit Limjittakorn led the way anew for the Thais. Both teams figured in a close contest for one whole period before the Filipinos opened things up in the second stanza for a double-digit halftime bulge. They nursed their advantage till the end and notched fifth place. 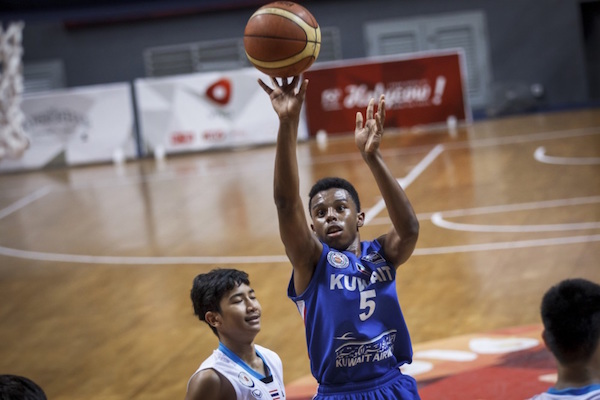 It was the first time a Philippine U16 team landed outside of the top five, but they will still be remembered for handing China its first loss at this age level in history. SJ Belangel dropped 13 points, 8 rebounds, 7 assists, and 3 steals for the winners, while Salim Alaaeddine had 28 markers to lead the Lebanese. The forward pairing of Jonas Tibayan and Gian Mamuyac also impressed for Batang Gilas with 16 and 10 points respectively. 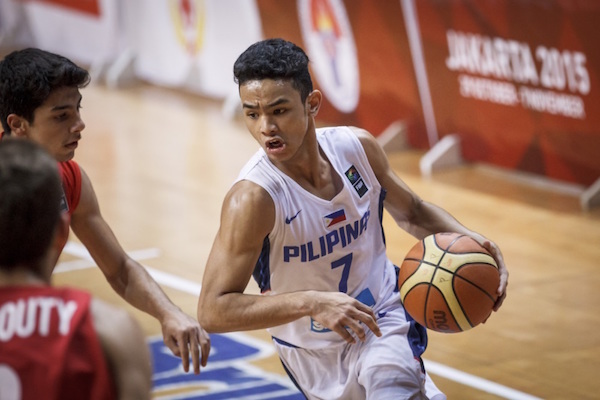 Harvey Pagsanjan has grown leaps and bounds in this tournament. Jason Credo takes it strong against Charbel Saad. 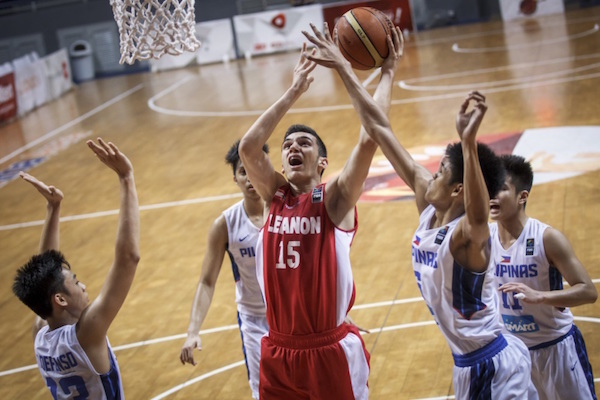 Salim Alaaeddine goes up in traffic against Batang Gilas. 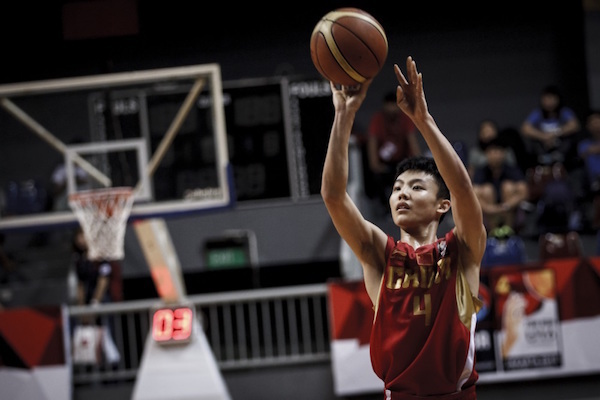 After a huge loss in the semifinals to Korea, China was able to bounce back by defeating Japan and booking the last Asian slot to next year’s FIBA World U17 Festival in Spain. Xu Jie led the way for Team Dragon with 20 points and 6 assists, while Yudai Nishida paced Japan with 18 markers and 6 rebounds. Wu Yujia and Wang Rui aided him with a combined 35 points, while Bai Haotian had 10 points, 6 rebounds, and 7 dimes. 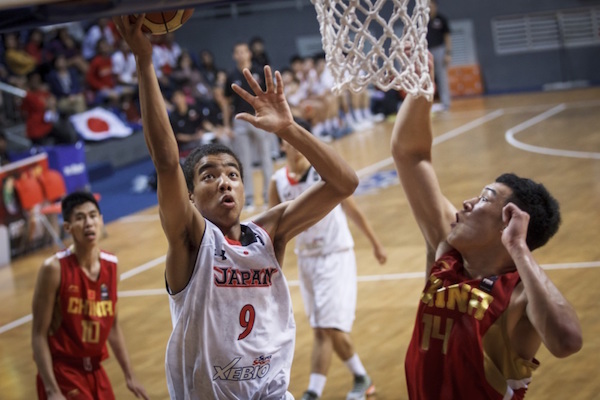 Nishida’s running-mates, Seiya Takahara and Taiga Kagitomi combined to shoot just 2/15 from the floor in this one, and Japan was also outrebounded, 45-32. 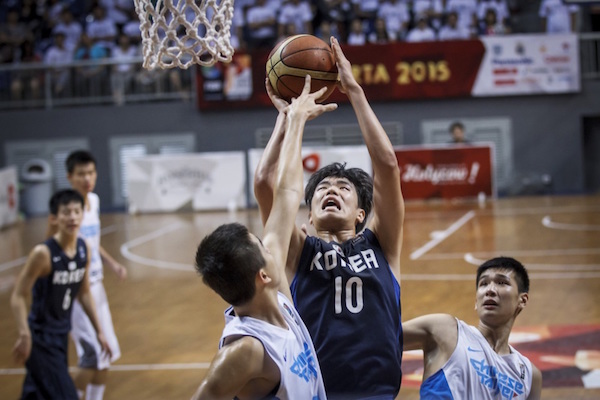 Japan's Aren Hachimura takes it strong to the cup. Bai Haotian splits the Japanese defense. Xu Jie makes it rain from the perimeter. Things were neck and neck in the first half, but Korea opened the third quarter with a 9-0 run and they were in control the rest of the way. This is Korea’s first title at the U16 level, and it was sweet redemption for a team that failed to make it past the quarterfinals in 2013. 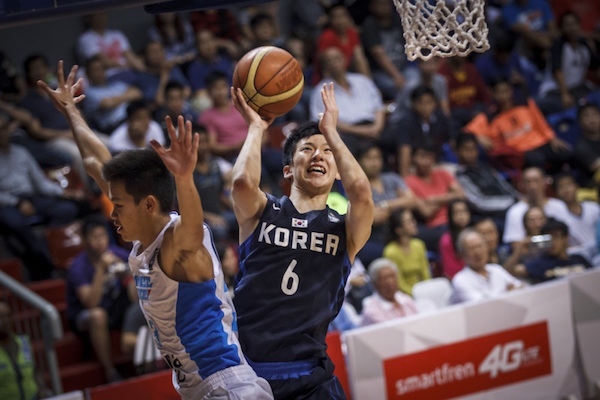 6’6 Park Min-Woo had his best game of the competition with 17 points and 6 rebounds, while Yang Jae-Min, Lee Jung-Hyun, and Shin Min-Suk all scored at least 16 points to spearhead Korea’s charge. Coach Oh Se-Il played a very tight rotation here as only six Koreans saw action. 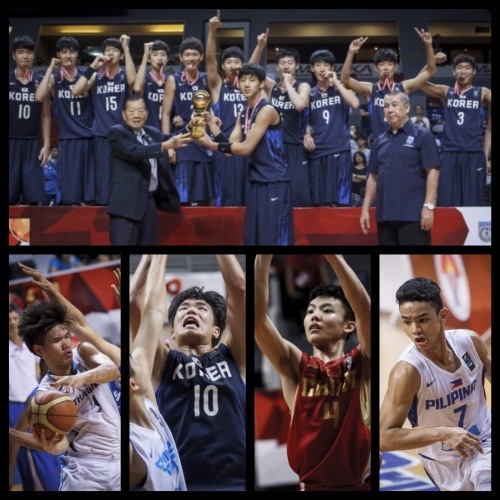 Taiwan, for its part, recorded its highest finish ever in this tournament’s history, and they will debut at the World U17 Championship next year. Lin Ting-Chien led they with 19 points, though he shot just 8/20 from the floor, while Wu Pei-Chia added 13 points and hauled down 20 big rebounds. 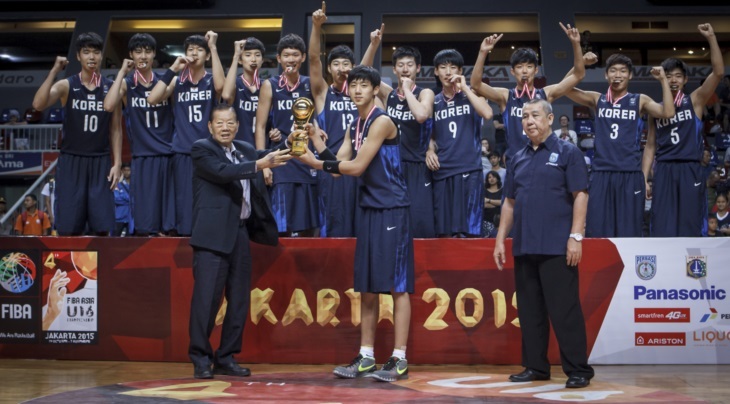 Korea finished on top of the heap for the first time in the tournament's history. Lee Jung-Hyun was great for Korea all tournament long. Park Min-Woo unloaded his best game on the biggest stage. 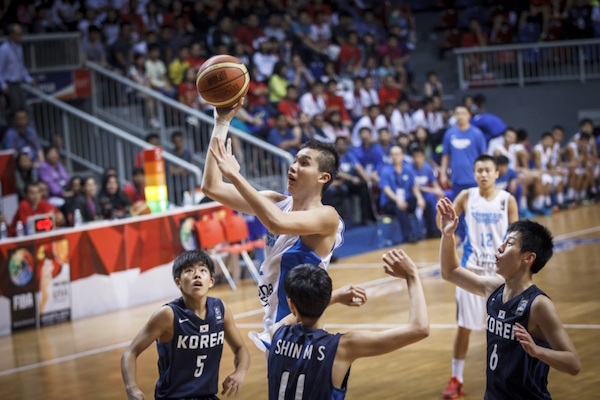 Wu Pei-Chia looks to have a very bright future for Taiwanese basketball.